Phoenix Children's Hospital Chief Information Officer David Higginson has spent the past several years putting an intense focus on patient safety, using Allscripts technology to innovate new tools and processes that put patient data to work in identifying areas where different approaches can be encouraged to drive quality and safety improvements. Allscripts has likewise long been focused on safety, CEO Paul Black said during an interview at HIMSS18, dating back at least the past 20 years, since the publication of the Institute of Medicine's landmark 1999 report, To Err is Human: Building a Safer Health System. "There were a lot of early adopters of electronic medical records, and that was the big push, prior to the mandate, of why you would do an EMR and computerized physician order entry," said Black. "That was sort of the thesis, behind trying to digitize 'do no harm.' From my perspective, it's what we've all been collectively working on for a really long time." Black gestured during the interview toward Higginson: "At their place, when you talk to his CEO, that is one of the first things they talk about is patient safety. It's a cultural mandate. As well as a working mandate in terms of how they build, how they talk, how they communicate, how they have stand-up meetings, how they talk to the board. It is all centered around having a safe environment for the children." "It is truly something our CEO believes very strongly in," said Higginson. "I think he was tired of sitting in quality meetings, three months after the fact, with a root cause analysis. Why do I have to wait three months for this to happen? Why not figure it out? Because the data was there, many times, to prevent this. So his drive and our focus for eight years now has been to get this root cause analysis much, much closer to when things happen, and prevent them from happening." As those new tools have been created and put into place, however, the CIO says he's learned that human factors – old ingrained habits, suspicion about new processes, resistance to new workflows – were some big speed bumps that required work to smooth over, and were just as important as the data and technology. "We've been through a journey, and it's not been an easy task," said Higginson. "Part of it is that the patient safety and quality team we have are so used to retrospective chart review, just breaking that habit. "They were great at reading a chart, and medically figuring out what was going on and putting the pieces together, but they had no concept of how to actually access the data electronically," he said. "So our very first challenge was retooling that group of people to go to data first, and only go to the chart after everything else failed. That was a two or three year change. 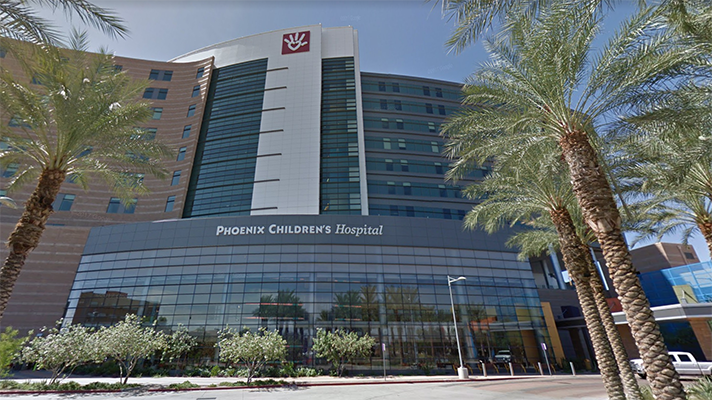 But the changes Phoenix Children's has been able to make to its EMR have been valuable to its life-saving patient safety efforts. "One of them is dose range checking," said Higginson. "In an adolescent or a child, the dosing is really important, based on their weight. There were really no solutions out there, just off the shelf, that would give you all the ranges. So we analyzed nearly 18 million electronic orders for drugs to really find the normal curve – because again, there's nothing really published, you just have to find what's normal – and then we put in this range checking process in real time. "It's not just the detection of data that shows something's not working, it's the action that happens after it. That is what we've been really hyper-focused on: Not just relying on a pop-up in the EMR." The dose-range initiative came after a root cause analysis where a patient had nearly been given 10 times the dose of a particular medication. Thankfully, someone had intervened at the last second, he explained. "But our CEO said that can never happen again. That is all human error. We just can't allow that to happen to a child." Within a month or so, the hospital had put together a new dose range checking system. "Again, with the Allscripts platform being fairly open, we didn't reach out to Allscripts to do it, we did the work ourselves and were able to get it into the system," said Higginson. "As physicians are ordering, there are soft and hard alerts to stop them from proceeding, and then finally it goes to the pharmacist, and the pharmacist picks up the phone and says to the doctor, 'I saw that you said you really want to do this, but it says it's 10 times over. What are you doing?' There are times you really need to do that." Another data-driven safety initiative focuses on IV infiltration. "Often you get an IV being put into a patient and that IV can go bad – it can start bruising, and if you're a child you don't have many veins and you might be here in the hospital for a long time sometimes," said Higginson. While that IV problem can get worse over time, Higginson said that interjecting and correcting it can be easy. The data was already there in the nursing documentation, but no one had put them together, said Higginson. "That's fundamentally where we're at with IT right now: So much data. Many, many times people just haven't put it together so it's visible and actionable." As the IV tool rolled out, for instance, "we felt so great about ourselves," said Higginson. "We demonstrated it worked. And we sent an email to the team whose job it is to correct the IVs. "But then we found that they were ignoring the email because they didn't trust the system," he said. "That was really irritating. Because we knew we had good data, but that last human factor was failing us." So the hospital developed some programs to help acclimate the clinical staff to get them used to the new processes. "We've worked really hard on some techniques we've used over and over again to guarantee that last mile of delivery happens," said Higginson. Now, "when we do these alerts we actually have reports tracking the use of them, and we're calling people up – our CMIO is literally every hour running the report to make sure someone is looking and checking," he said. "He knows once they get there they'll fix the problem – it's just a matter of getting people into the habit. So what we've learned is that we can't just create an awesome system that sounds great. We have to work on 21 days of habit forming before people get indoctrinated." The same goes for new medication administration techniques. "We've never really used a computer on wheels in nursing,” Higginson said. “It's clunky and we didn't want them in the room. And if you think about med admin, it's really a 30-second type of interaction. It's not, log into the computer for 20 seconds and pull up the record and spend 10 minutes documenting. You want to scan the drugs, and done. So we deployed iPhone 6 Plus with the med admin on it." When the hospital first rolled Allscripts mobile app, it was well-received early on, he said. Even still, they noticed a drop-off from 98 percent compliance down to 90 percent. "People who didn't want to do it would document some reason – like the technology failed or the WiFi didn't work," he explained. "But we found out that that wasn't really the case. Once we started going to them within 30 mins and saying, 'What's wrong with your device, can we fix it?' We found out that they just didn't want to do it, and their learned behavior was to just document some random problem." These days, if a nurse has documented three times that the scanning app didn't work, a clinical supervisor is sent to intervene. "It's not just the detection of data that shows something's not working, it's the action that happens after it," said Higginson. "That is what we've been really hyper-focused on: Not just relying on a pop-up in the EMR." That attention to human factors has made a big difference in the efficacy of the new safety initiatives. "Think about it, we've put millions and millions of dollars into putting the system in and collecting the data to get an outcome," said Higginson. "And then you fail because the pop-up message didn't happen at the right time or the right place, or it was just dismissed. That closing of the loop is really important."